Small cameras have always been an important part of my photography. Nowadays there are compact cameras with an excellent image quality, and I've used compact cameras with a big aperture for about ten years now, starting with Canon S90, through Olympus ZX1 and to Sony RX100, which I still use a lot, also in a waterproof case for kayaking photography. I've generally not bought the newest and most expensive cameras, choosing instead to stay just below that level of cost. (The RX100 series is now up to version VI with a price of 1350 € at the time of writing, which quite a lot of money). Since 2014 I've also used a long zoom camera with a fairly large sensor, the Panasonic FZ1000, which still gives excellent image quality in good light with a zoom range of 25-400 mm (equivalent). I often bring it in the kayak. 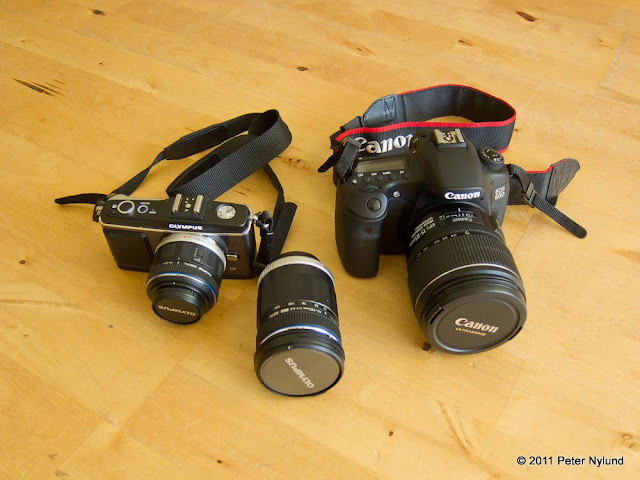 I was a fairly early adopter of digital system cameras, getting the Canon EOS 300D DSLR in 2003. My final DSLR was the Canon EOS 60D, which I sold in 2011 when I downsized to the m43 system with an Olympus camera with a couple of lenses. The EOS 60D had some issues with the autofocus for me, and I never got the EF 15-85 lens to focus fully reliably, despite having it calibrated twice. I've not been interested in DSLR:s since then, preferring mirrorless cameras. I stayed with the m43 system having cameras such as the Panasonic GH2 and Olympus EM-5, until I tried Sony NEX-7 in 2014. Ultimately, that was a bad move, since the Sony system was far from ready at that time. The lenses just weren't there, at least not for a reasonable price. In 2016 I got back to the m43 system and had cameras such as Panasonic G7, Panasonic GX80 and Panasonic G80. The last two I sold this year. 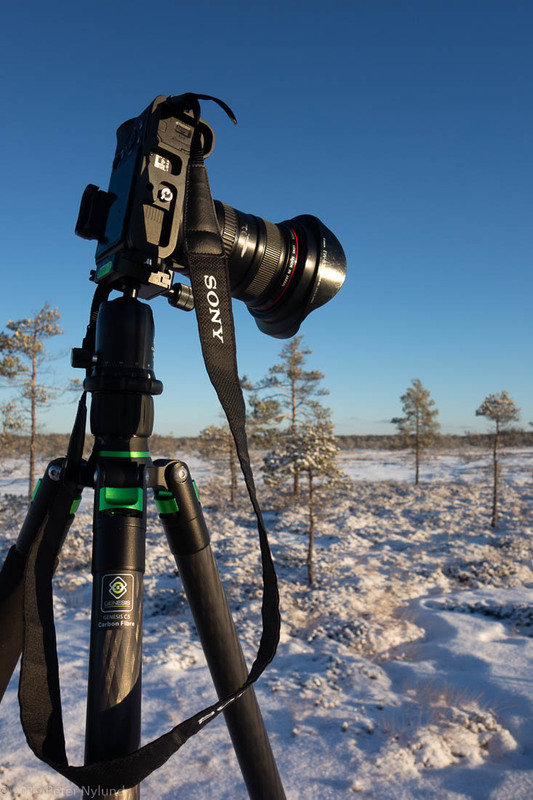 During this time the Sony full frame A7 series got better and there are now a lot of lenses available, some of them also for a reasonable price. 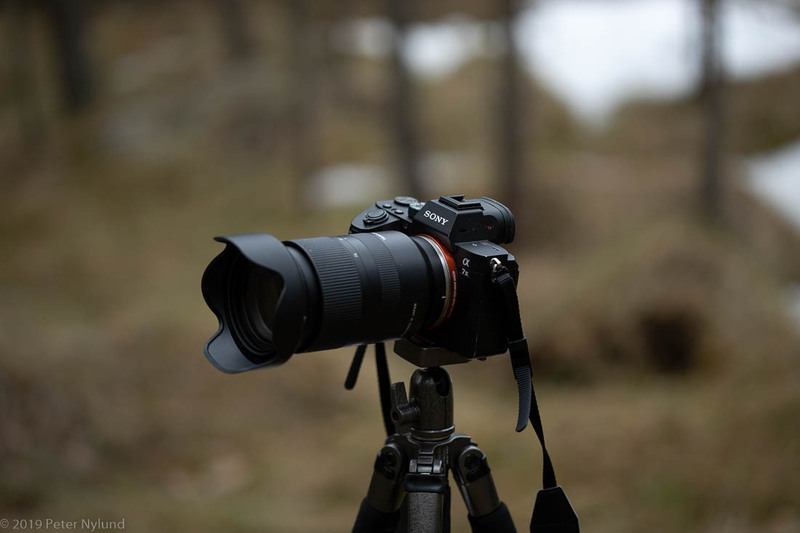 The ability to use Canon EF lenses, for which there is a sizeable used market, was also a deciding factor for me, and in the beginning of September 2018 I bought a used Sony A7II, as the prices finally had started to go down due to the Sony A7III now being on the market. The Sony A7II is not an especially new camera, having arrived at the market in the beginning of 2015. It is the second camera in the A7 24 megapixel middle range camera, being upgraded with better ergonomics and a sensor image stabilizer (IBIS) as well as some smaller things. The IBIS was a must for me, since I don't always have the possibility to bring a tripod and frequently do photography when the light is poor. In sensor technology it corresponds quite well to the Panasonic G80. Sizewise they are not far from each other, even though the full frame sensor is almost four times as large. With corresponding lenses 50 mm (equivalent angle of view) they are actually about the same size, though the Sony lens is about 1 1/3 stops brighter looking at absolute apertures. The Panasonic Leica lens is a lot better though, the sharpness and quality of bokeh is quite extraordinary. The Sony is less than 100 g heavier. Picture from camerasize.com, an excellent resource for checking out camera sizes. Moving up to a brighter normal zoom, the situation changes a bit. 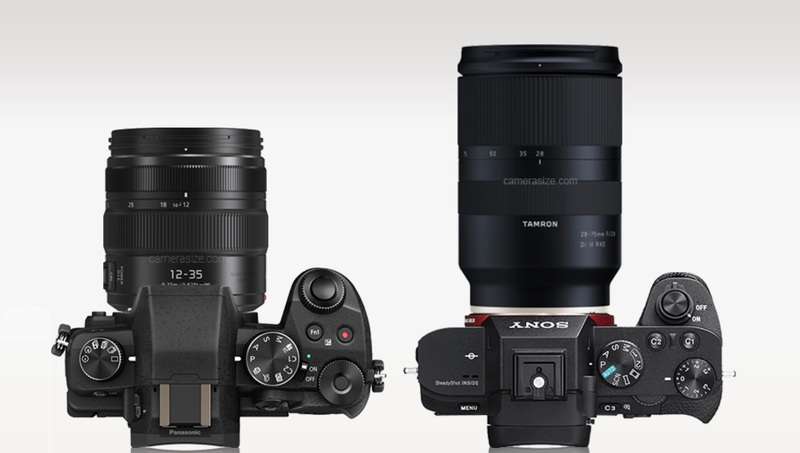 The situation is not totally equivalent, though, since the the Panasonic zoom starts at the equivalent of 24 mm, while the Tamron zoom for Sony starts at 28 mm. The Tamron zoom is also absolutely speaking about two steps brighter. More size details at camerasize.com. 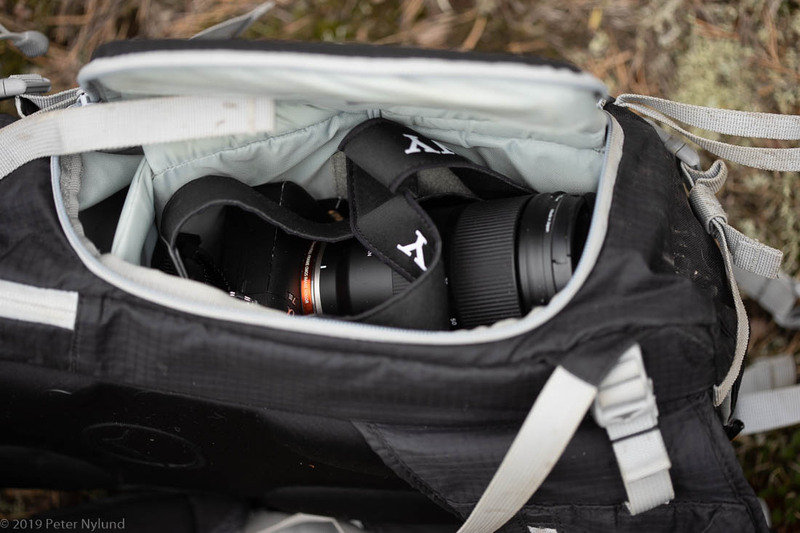 The size differences become larger when going to longer tele lenses, where the m43 gear stays fairly compact, while lenses for full frame cameras quickly become very big and heavy. The Sony A7II with the 28-75/2.8 zoom still fits into normal sport camera backpacks suitable for e.g. 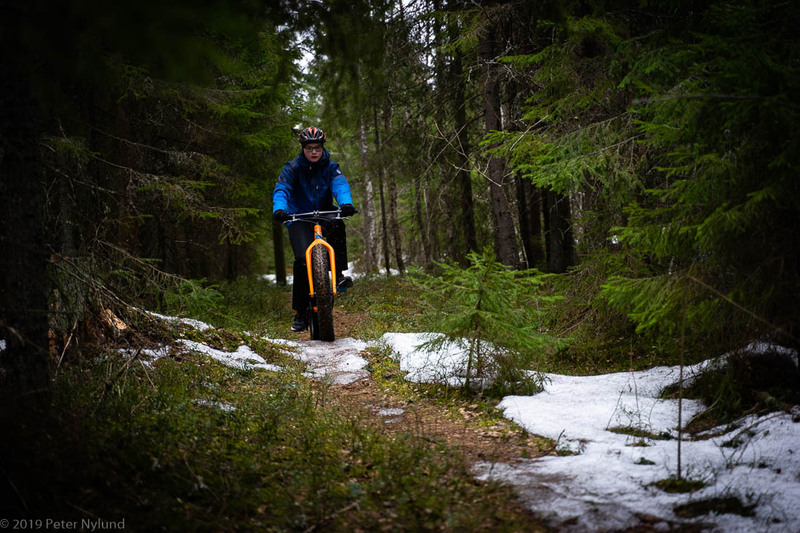 mountain biking. (Sony A7III in the picture, but they are about the same size). 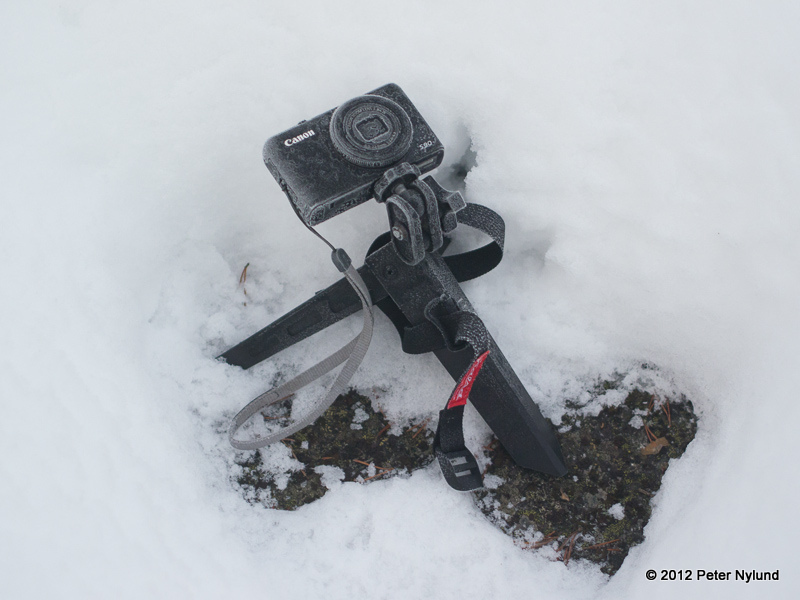 Mounting an L-bracket with Arca-Swiss compatible quick releases increases the size a bit, but offers good usability with a tripod. Compared to the m43 system, the weight is easily higher with the full frame system, and a small light tripod might not always suffice. For short lenses, the Sony full frame system is not much bigger, though a bit heavier, than a corresponding m43 system, but what about other aspects? I had some really excellent m43 lenses, like the Panasonic Leica lenses 15/1.7 and 25/1.4 and the Olympus 45/1.8. All fairly small lenses with an outstanding picture quality and with these lenses the m43 size really shines. Using zoom lenses, though, the situation changes. Brighter zoom lenses are much bigger and heavier, while still not having an aperture larger than 2.8, which isn't much with the smaller m43 sensor size. With the Tamron 28-75/2.8 lens for the Sony full format cameras, the aperture is large enough and the lens still not too big. 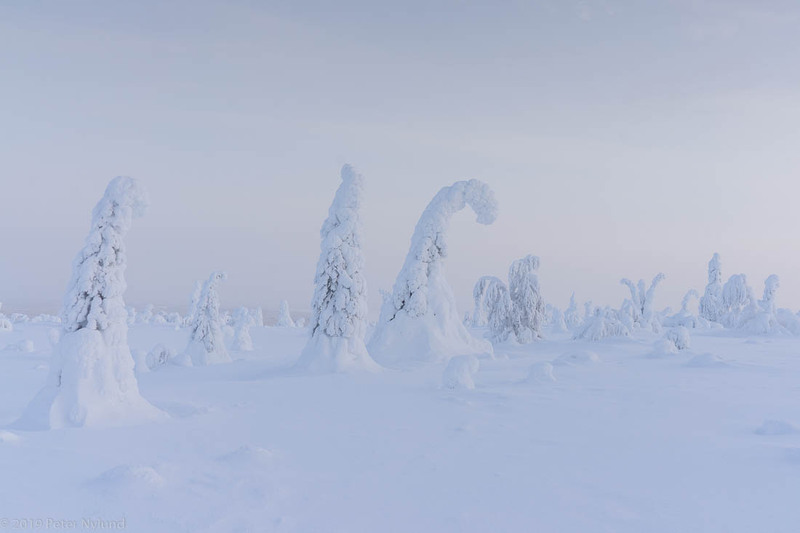 As a side note, I really don't see the point of having kit lenses with a maximum aperture of 4.0, like e.g. the Nikon Z series has. The lenses get a little smaller, but you are giving up the possibility to short DOF, which is one of the main advantages of full frame sensors. Other aspects? 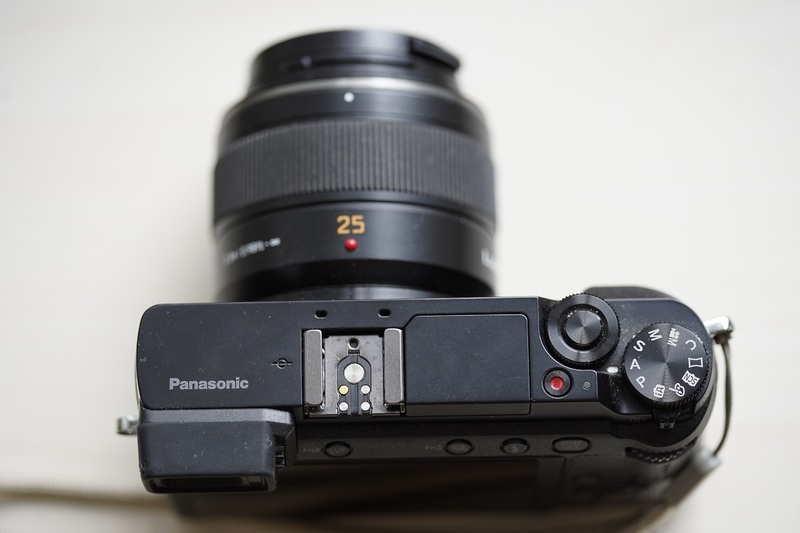 The Panasonic G80 electronic viewfinder is better than the one in Sony A7II and A7III. The Sony cameras have a bit better controls, more confusing menus and good customization options. 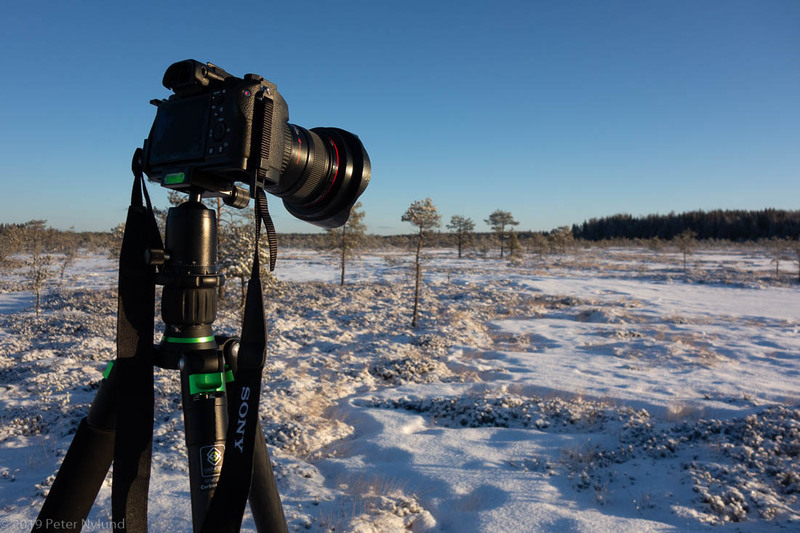 The battery life of the Panasonic cameras have always been excellent, when the Sony A7II really suffers in cold temperatures. 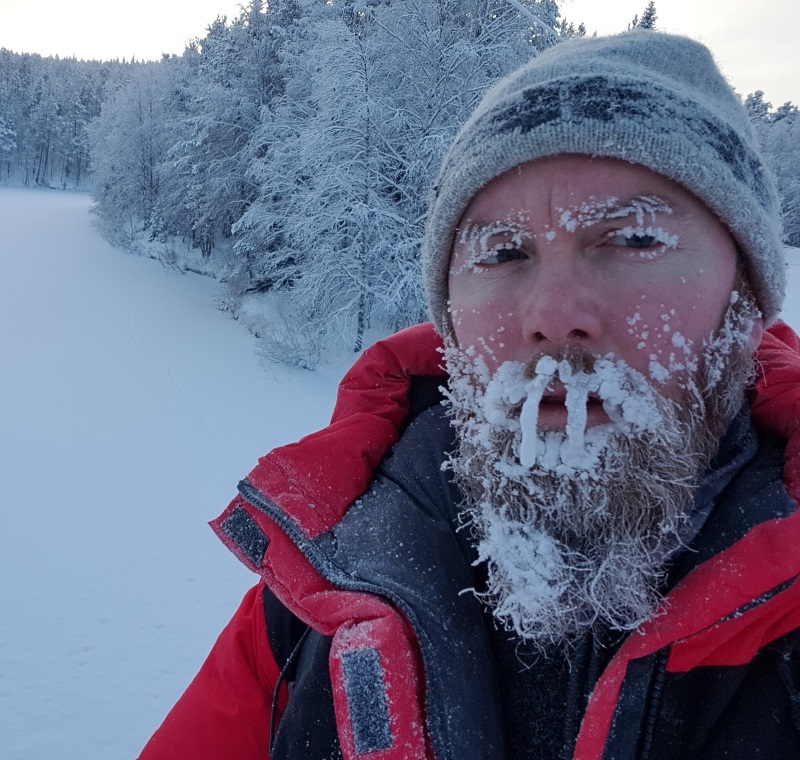 I was in Lapland in the end of January, and during a day when the temperature was below -31C during the entire day, I had to alternate two batteries between the camera and a pocket against my body every five minutes. The image quality is better with the 24 megapixel Sony A7II vs the 16 megapixel Panasonic G80. 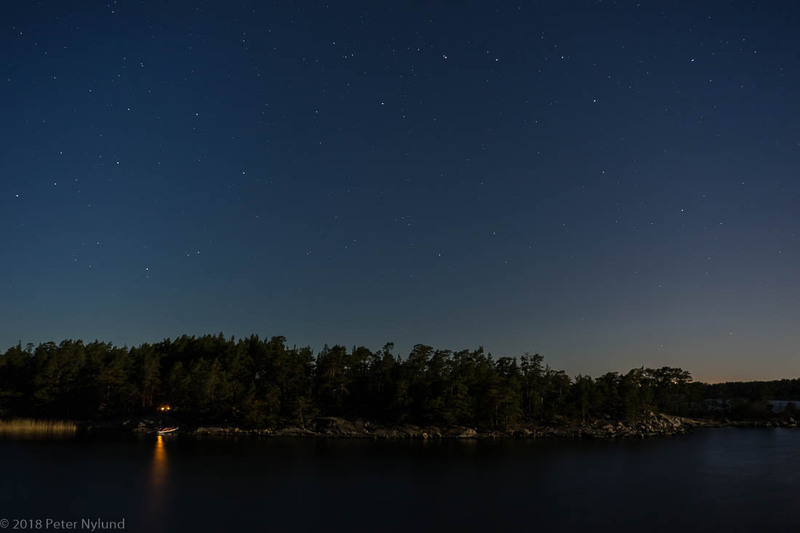 The improved resolution is noticeable, as well as the about two steps better high ISO performance, even though the Sony A7II doesn't do particularly well on high ISO. 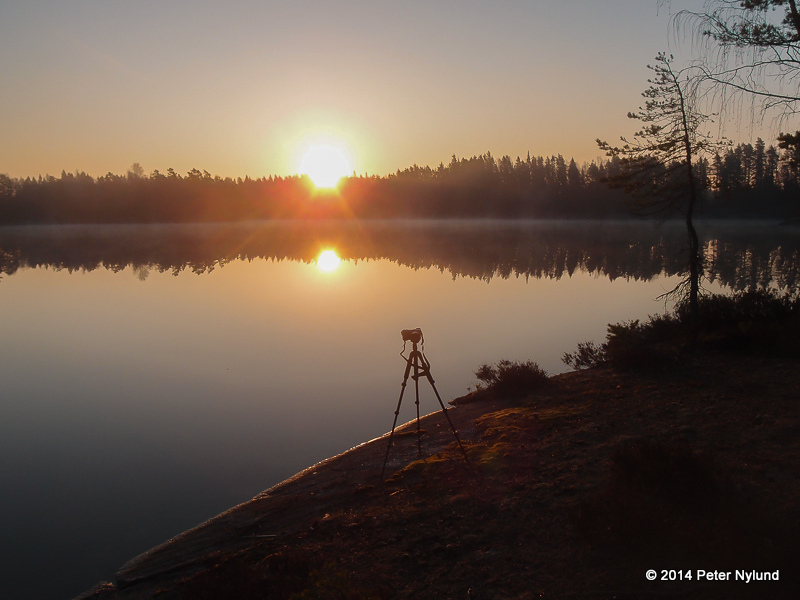 The better dynamic range of the Sony is clearly visible when raising shadows. I did get a used Sony A7III for a fair price, and this is in many aspects vastly improved over A7II. At base ISO the performance is fairly similar, though the A7III has a bit better dynamic range (14.7 EV according to DxoMark). At high ISO however, A7III is a lot better, almost two EV. The A7III has a dual gain mechanism on the sensor, meaning it in practice has two base ISOs and there is almost no penalty for using ISO 800 when the base ISO of 100 does not suffice. The A7III also is a much faster camera in all aspects, with 10 fps continuing shooting rate, twice that of A7II. It has a much bigger battery. Operating it in general is also faster and it has an additional joystick for quickly moving the autofocus region. The PDAF autofocus points now cover 93 % , considerably more than in A7II. The autofocus is also a lot faster and works very well. The eye-AF works to a degree that probably would have needed sorcery some five years ago. The latest firmware update even brought eye-AF for cats and dogs, as well as animals with similar face shapes. 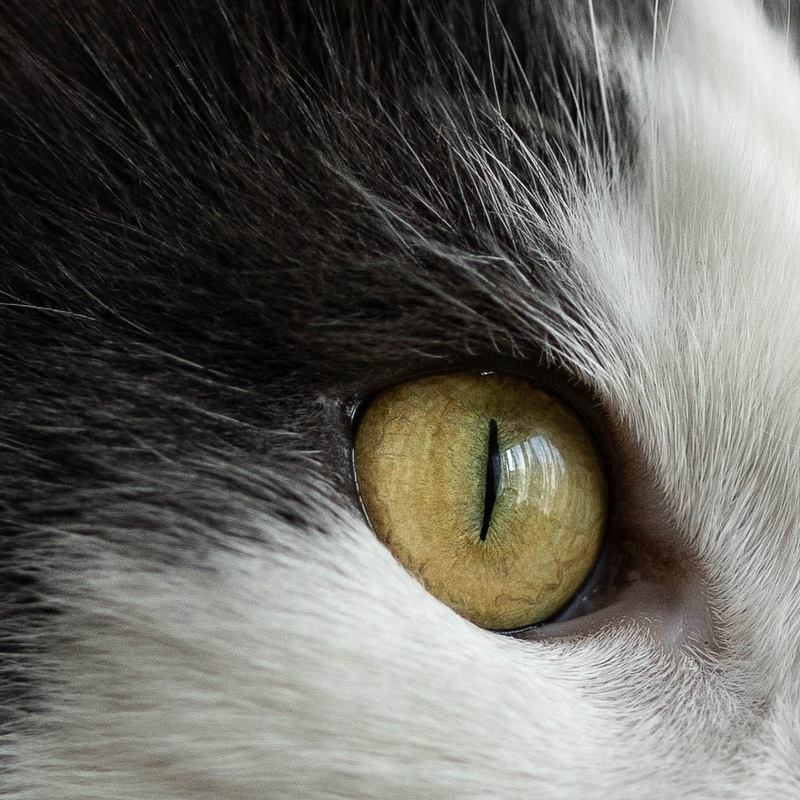 Just choose the between human and animal eye-AF and point the the camera against your cat and it identifies the face and automatically focuses on the closest eye. Based on the content of internet, this is an extremely useful feature. 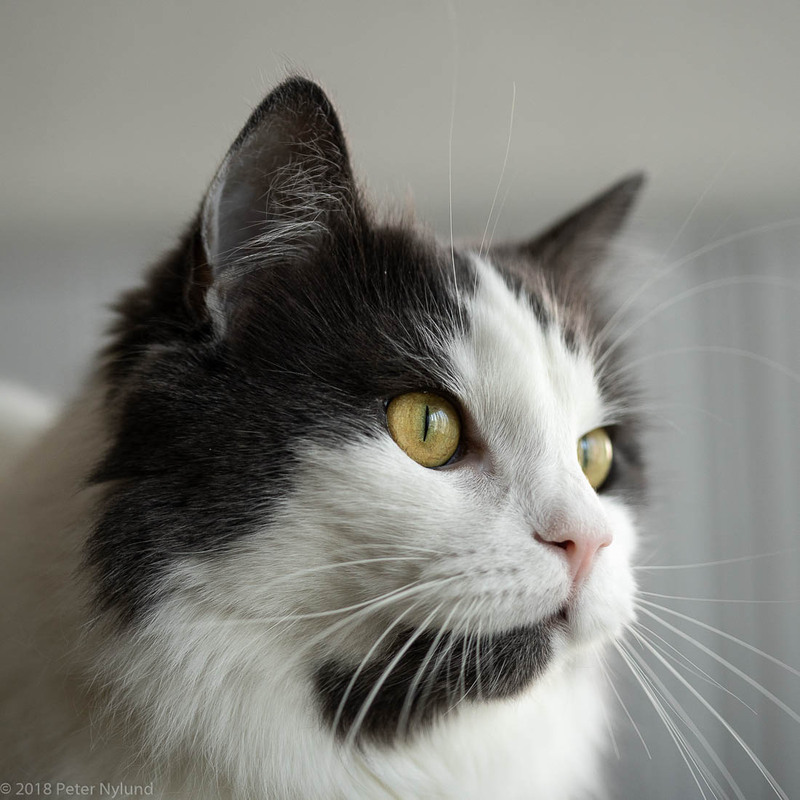 The picture of my cat below is incidentally taken with the Canon 100 / 2.8 USM macro lens I bought very cheap, using the Sigma MC-11 adapter and full AF functionality, include animal eye-AF, is available. 100 % crop, ISO 800 and no noise reduction. The eye is sharp and I didn't do anything else than move the AF region to the cat's face, after which is tracks the face and eyes. The A7III is a camera that represents the state of the art as of today's mirrorless cameras, in image quality, speed and AF performance. As such, I do think it performs a lot better than the m43 cameras of today, while not being much bigger. As an observation, I think the m43 cameras are currently falling a bit behind. The smaller format definitely does offer advantages especially with longer tele lenses, but the sensors are not up to date. They would need the technology of the newest sensors, scaled down to the m43 size, since sensor development continues.